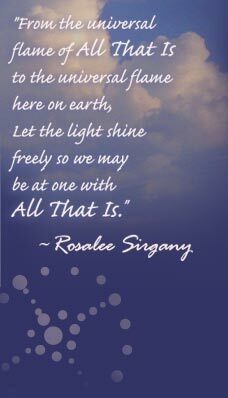 Rosalee Sirgany has been guiding others through her connection with Spirit and the Masters since 1993. She is a conscious trance Channel and Spiritual/Shamanic Healer with an international reputation for excellence. Her work features a Holistic approach focusing on Personal Empowerment. She communicates and works with the Masters and your Spirit Guides or Guardian Angels. Rosalee draws from multicultural ancient healing arts to allow for a broad range of Complementary and Alternative approaches to healing on all levels. Rosalee’s gifts and abilities come from knowledge and wisdom gained from going within and understanding her oneness and harmony with All That Is. She is part of a spiritual/shamanic Sisterhood known as the Society of Women Healers, and relays the teachings of this ancient Sisterhood in her books and her daily work. A contemporary mystic, Rosalee has been given the name “Golden Eagle With a Torch on Its Wings,” signifying the wisdom and knowledge she is here to share. A session with Rosalee will bring messages from your guides and/or the Masters to help you understand your relationships, career, life path and more! All Sessions - Channeled Readings, Spiritual/Shamanic Healings & Clearings - are offered from a distance as well as in person. Rosalee channels and relays messages from Jesus of Nazareth, White Buffalo Calf Woman, Archangel Michael, Archangel Raphael, Kryon and many others to assist you with greater awareness and loving insight. Rosalee works with Spirit, allowing the energy of All That Is to flow freely through her being for Spiritual/Shamanic Healing. Understanding and assisting others to experience the mind and body connection to All That Is, is one of her specialties. 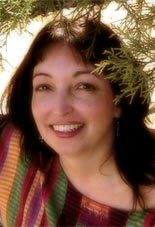 Rosalee will guide you to an awareness of the underlying cause of disease, allowing for healing on all levels. Her work has taken her to various energy vortex centers across the United States as well as to other parts of the world. THE DANCE OF INNER PEACE: A Journey Into the Spiritual Realm. It is a story filled with adventure and vision and one from which we can all learn to follow our true path in order to find peace and harmony within. Rosalee’s second book, IT HAS ALWAYS BEEN THUS, is a channeled work from Jesus of Nazareth. You can read Jesus’ words as he elaborates on and clarifies the teachings he came to share 2000 years ago, and which in large part, have been misunderstood. A seasoned writer, editor and columnist, Rosalee worked for newspapers for several years before turning her interests toward more spiritual pursuits. Currently, Rosalee facilitates Lectures and Workshops on healing and spiritual and shamanic understanding, as well as Private Consultations. She is an ordained minister, who gently and lovingly guides you to greater self-awareness and personal empowerment.